Asus Live G500TG expected price in India is ₹13,999. 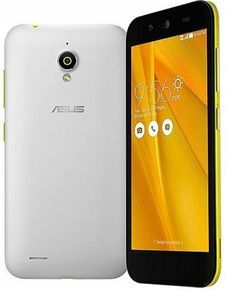 Chinese Electronics Company Asus has finally moved beyond ZenFone and launched a new smartphone titled Asus Live. Currently the phone is only available in Brazil and likely to arrive in India post official launch of ZenFone Zoom which is slated for 22 January 2016. Here’s a quick review of Asus Live based on specification, features and price in India. The Asus Live smartphone is a mid-range device with mediocre specs sheet. It comes fitted with a 5-inch HD display with a resolution of 1280x720pixels. Under the hood, it features a quad-core MediaTek MT 6580 ticking at 1.3 GHz. It also features 2GB of LPDDR3 memory and 16GB of internal storage which is expandable up to 64GB. For Shutterbugs, it houses an 8-megapixel primary shooter with autofocus alongside 2-megapixel selfie shooter. The Asus Live is packed with a 2070mAh battery which is certainly below market expectation. In Brazil, company is offering it in Blue, Magneta and Yellow color options. Asus Live users will also be receiving 100GB of free Google Drive storage for 2 years. Based on the primary reports, Asus Live is likely to arrive in India in the month of February 2016. The phone in Brazil is retailing around $210 dollars which according to dynamics of Indian market is on a higher side. As per our estimation, Asus Live online price in India should be around Rs. 9K.